The Gallery theme this week is Inspirational People. There is the teacher at school who did not have a television and challenged my thinking. There is the solicitor who fought miscarriages of justice. There is the lovely Freddie Mercury who I admire for his creativity and his willingness to live his life his way. I could talk about my late Mum who inspired me to blog in the first place. However, I tend to write about her as part of the Little Legacies Project organised by Penny at the Alexander Residence blog. So family wise, here is an inspirational person. Mum always said she would be happy if I worked on the Pick and Mix in Woolworths. I think if anything my ambition frightened her a bit. In reality, she need not have worried as I did not achieve much in the end. The photograph below is my lovely Dad. He always encouraged my ideas about what I might achieve. He is a decent man and I strive to be as good-hearted and true. He always believed in me and used to tell me to walk tall as I am as good as anybody. Dad has travelled the world and understands about different cultures. When Dad talks, it is always good conversation and plenty of laughter too. I now live with my Dad and as I attempt to revive myself after the first 10 years of parenting, he inspires me to work to be the best that I can be on all fronts. 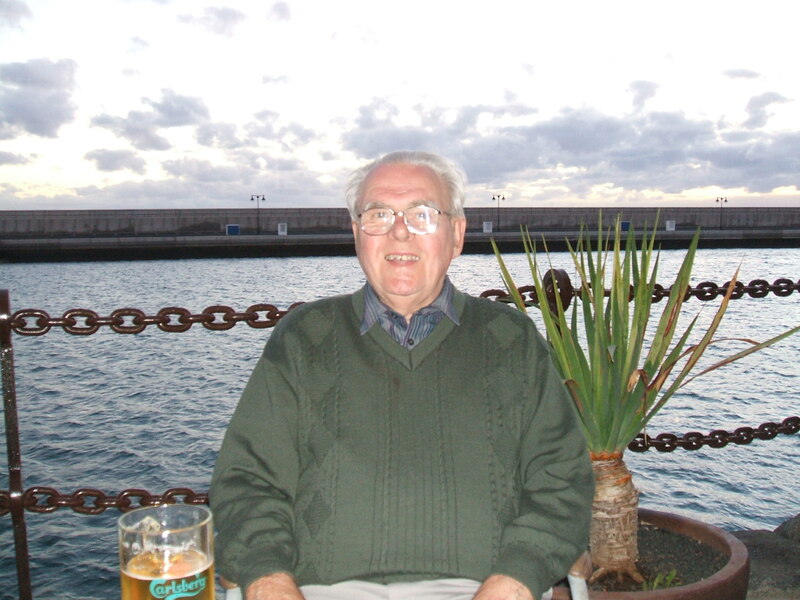 He has developped a keen interest in my blogging and social networking which is not bad at all for a 84 year old. He teaches me that it is never too late to learn or to try new things. His example has also demonstrated to me that although never the same, there is life after loss. In the last couple of years, several people have said I inspire them. How I do this when I am a stay at home mum battling huge weight issues and struggling to get back whatever va-va voom I had in the first place, I have no idea. However, it does please me that people make changes to their lives saying they were inspired by something I did. Are You A Grooving Mum? Could You Be? I love to read people inspired by their parents and how fortunate to be with your dad all the time, my 91 year old nana works a laptop and emails family abroad, I’m proud of her too. That is a beautiful post and the love for your dad shines through in your words. I hope he reads this and realises how much he’s a star? Ooh, I loved Freddie, he was a legend! Good choice. And I hope you did grow the ‘tache. I think you do inspire people – very much so. You are trying to get back your Va Va Voom (love that) and are very honest about it – but what I love is that he inspires you and supports you and together you obviously make a great team. You dad sounds groovy indeed!! 84 and still got a thirst to learn is brilliant. I love Freddies story, they’re making it into a movie. I shall be watching!